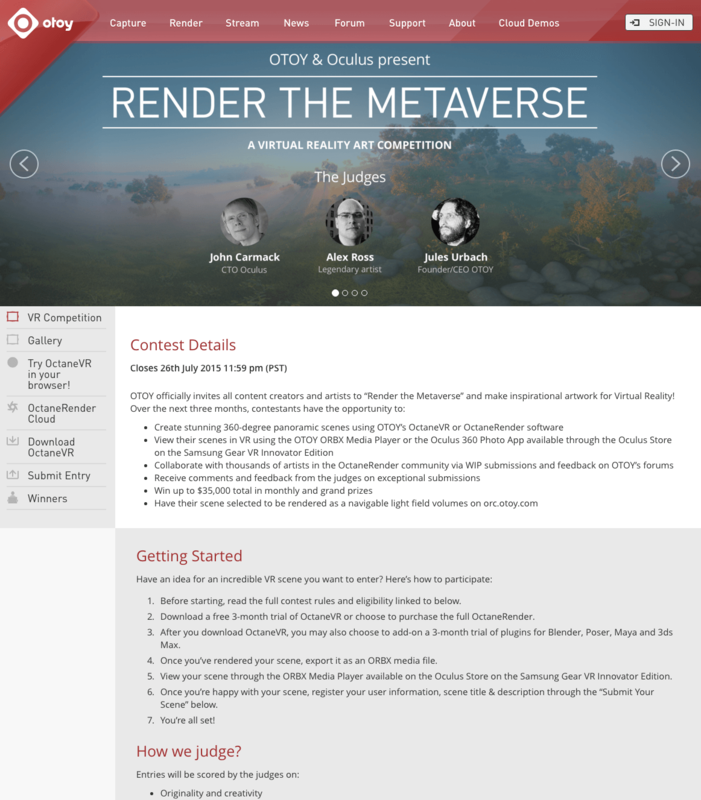 In an effort to build excitement around mobile VR, OTOY worked with Oculus to launch a three-month long contest dubbed “Render the Metaverse”. The contest invited content creators to imagine fantastic vistas and create stunning 360-degree panoramic images rendered for the Samsung GALAXY Gear VR in either OTOY’s OctaneRender software or the freely available OctaneVR with a chance to win some serious cash. To spread the word OTOY turned to Willis Collaborative who worked closely with OTOY and the Oculus marketing team to finalize materials and the media outreach strategy. 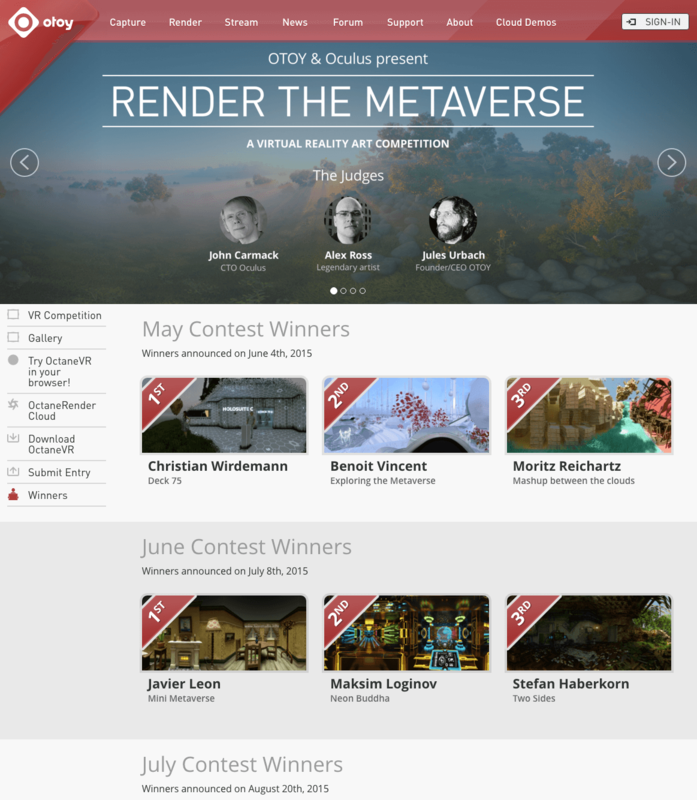 The strategy consisted of an initial launch of the contest leveraging quotes from the judges which included Oculus CTO John Carmack, legendary comic artist Alex Ross, and OTOY founder and CEO Jules Urbach, and subsequent news blasts to CG graphics and VR-focused media regarding the monthly winners and finally, the grand prize winner. 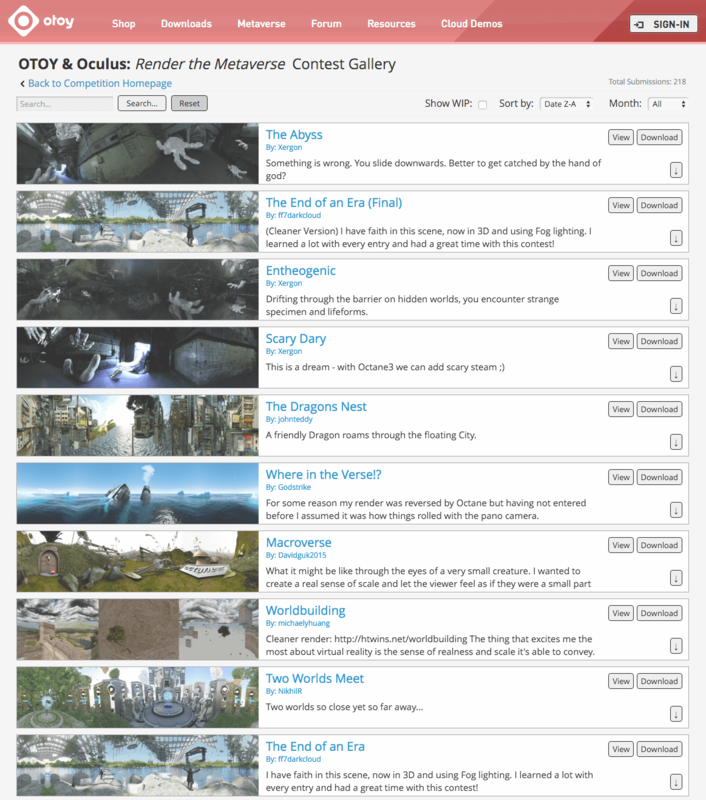 The three-month effort was a huge success with strong coverage, more than 200 submissions all of which could be downloaded and explored by the community, and a tremendously positive reaction by the community who consistently cited the content as the best quality VR experience available at the time.